Caption: 2016 ACRES intern Gabe Curtis, Ball State University Aquatic Biology and Fisheries major, center, shares a laugh with DNR land managers during a non-native invasive species partner workday. ACRES Land Trust is seeking applications for summer land management interns, matching students with expert mentors in protecting, acquiring and managing working and natural lands. The program, in its ninth year, helps ACRES care for our growing number of permanently protected places. ACRES is seeking grant funding for the internship program. “ACRES interns help with invasive species management, trail maintenance, restoration, and other hands-on projects, ” says Evan Hill, land management specialist and intern supervisor. 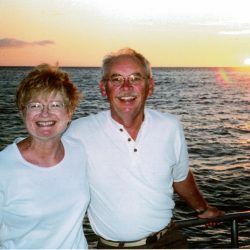 Hill, a former land management intern with the Huntertown-based organization, notes that the jobs can be physically demanding and require tenacity to persevere. “Interns boost our results in the summer, a busy time for land management,” says Casey Jones, director of the land management division. “I think one of my most favorite things from the internship was getting to work with Purdue Fort Wayne and the University of Saint Francis to do a portion of the creek study at Little Cedar. 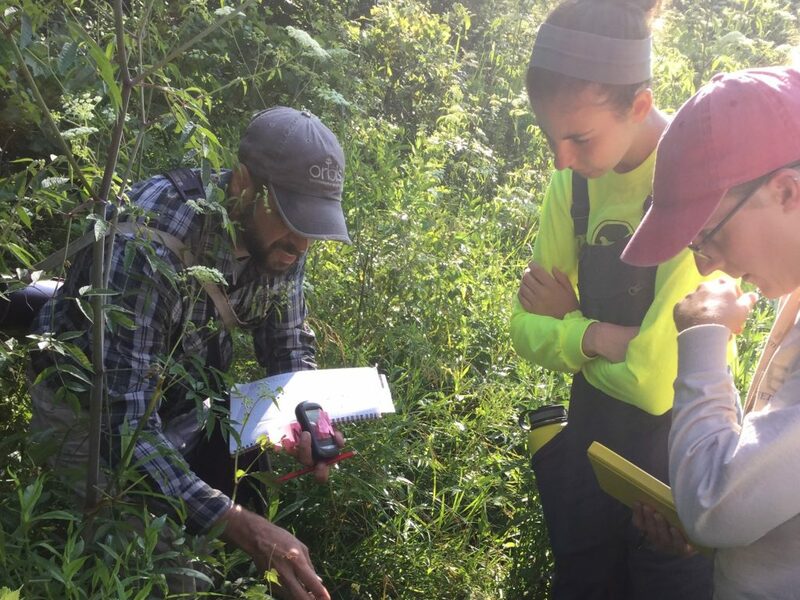 Being able to experience what some field work is like was amazing, and I found it was something I really enjoyed,” says Phoebe Habeck, a Purdue University Forestry student. ACRES interns will also participate in unique outings. 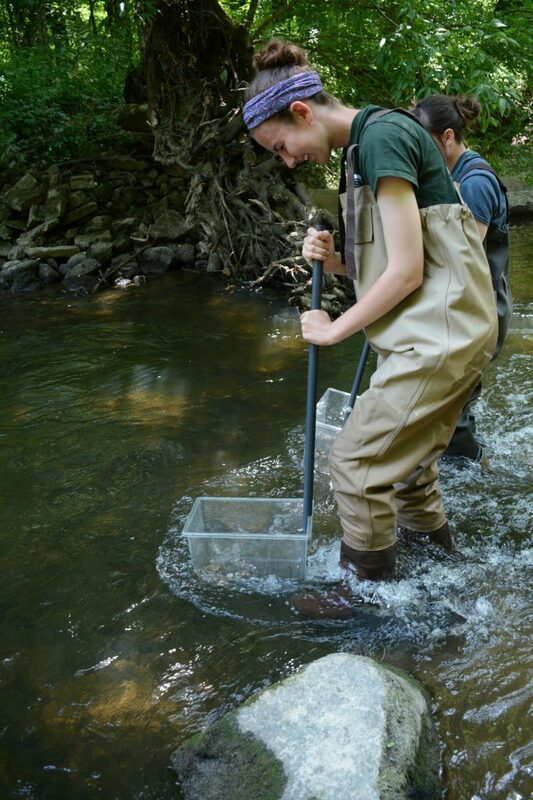 Past internships have included the chance to help sample Cedar Creek fish and mussel populations, to shadow a botanist during a plant inventory at a rare marl flat, and to engage in a stewardship gathering with land managers from the tristate area. Preference will be given to residents of DeKalb, LaGrange, Noble and Steuben Counties and to students seeking a natural resource-based undergraduate or graduate degree such as environmental studies. A complete job post including application details is available here: Job posting and instructions for applicants (PDF). 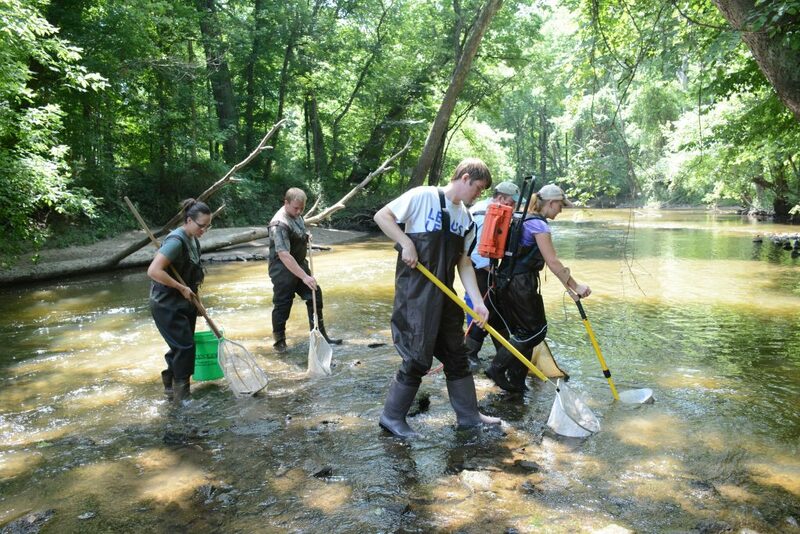 2018 ACRES Land Management interns, Dessiree Hurst of Purdue Fort Wayne, far left, and Nolan Sipe of Manchester University, second from left, help sample Cedar Creek. ACRES members protect 7,000 acres of local natural and working land in in the tristate area, forever. Explore more than 70 miles of trails, take photographs, enjoy family time, get outdoors, plan a field trip, get fit, reflect on nature’s beauty or share an adventure, for free from dawn to dusk at a preserve near you: acreslandtrust.org/preserves. Connect with ACRES Land Trust at 260-637-2273, acreslandtrust.org or on Facebook at facebook.com/ACRES.LT.